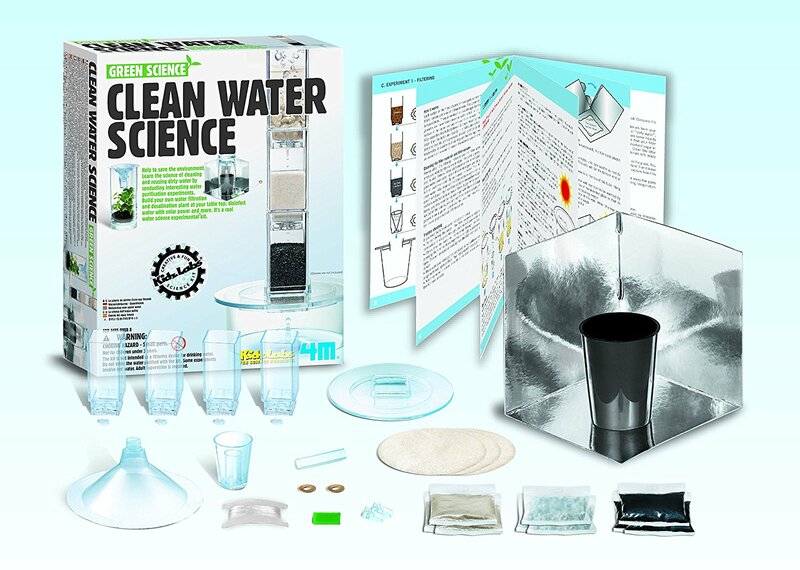 Learn the science of cleaning and reusing dirty water by conducting interesting water Purification experiments. 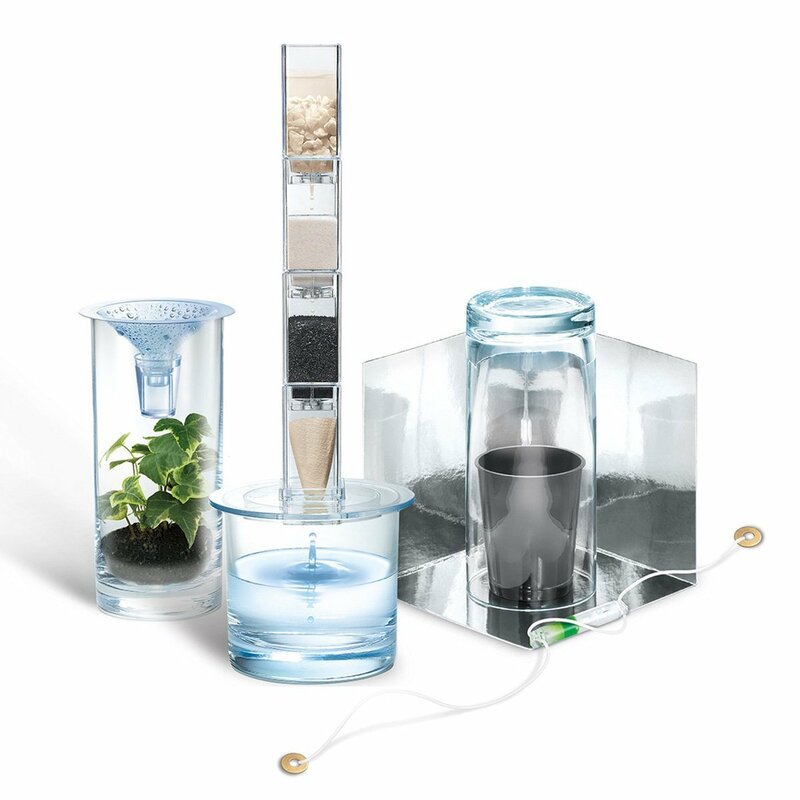 Build your own water filtration and desalination plant at your table top; disinfect water with solar power and more. Help to save the environment. 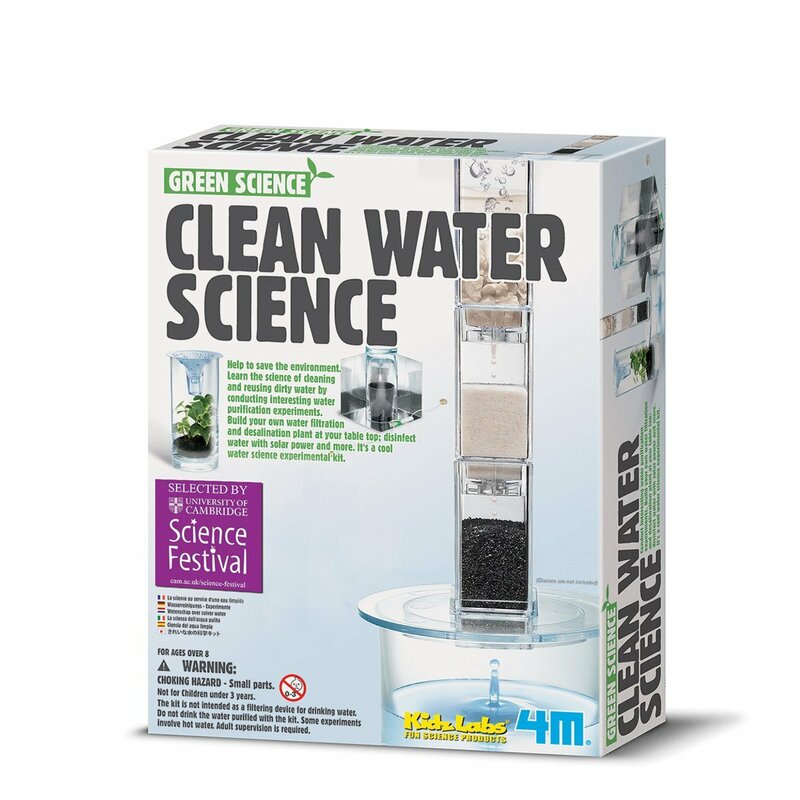 The Green Science Clean Water Science Kit contains: 4 filter sections, 4 filter plugs, round filter base, active carbon, sand, gravel, filter papers, funnel-shaped collector, small plastic cup, soft wax, fishing line, transparent tube, 2 transparent caps, silver reflector card, black plastic cup, 2 metal washers and a full experiment guide with fun facts. Recommended for ages 8 years and up.